SCVHistory.com LW3239 | Film-Arts | Mel Brooks Directs a Desert Scene in 'Blazing Saddles' (Warner Bros. 1974). 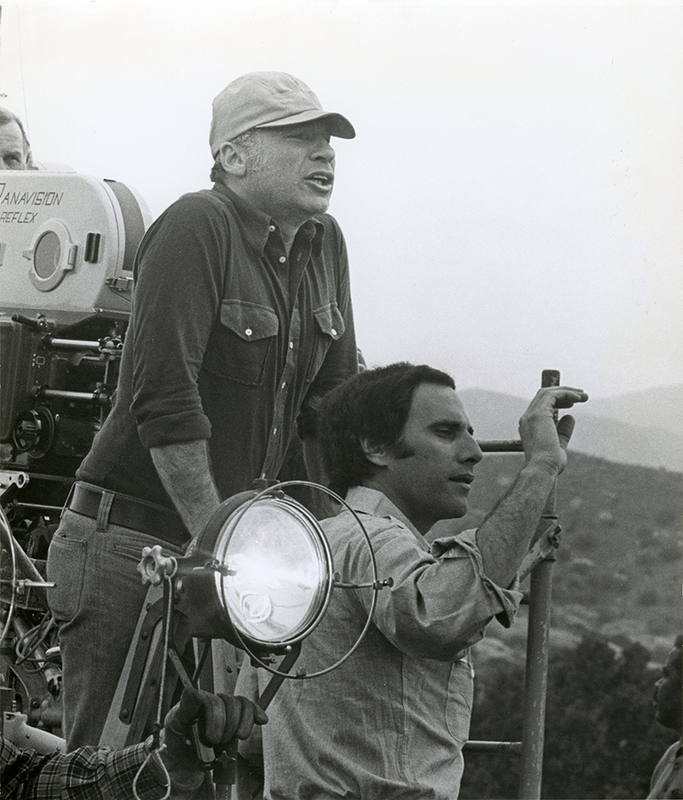 Mel Brooks directs a desert scene in "Blazing Saddles," with producer Michael Hertzberg in the foreground and cinematographer Joe Biroc behind the camera. Warner Bros. publicity photo, 7.5x8.75 inches. The shot appears to be at Vasquez Rocks County Park, which Brooks used extensively for exteriors, but he also used a location along the Mojave-Tropico Road in Rosamond for the opening scenes of railroad construction, the Count Basie scene, and the fake Rock Ridge. 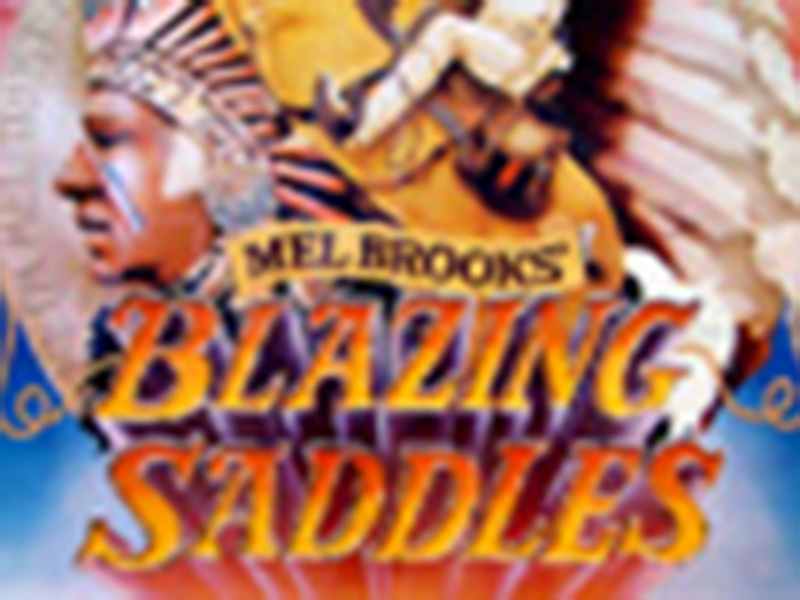 MEL BROOKS GOES WEST directing his newest film "Blazing Saddles" for Warner Bros. The comedy western stars Cleavon Little and features Brooks in two roles. 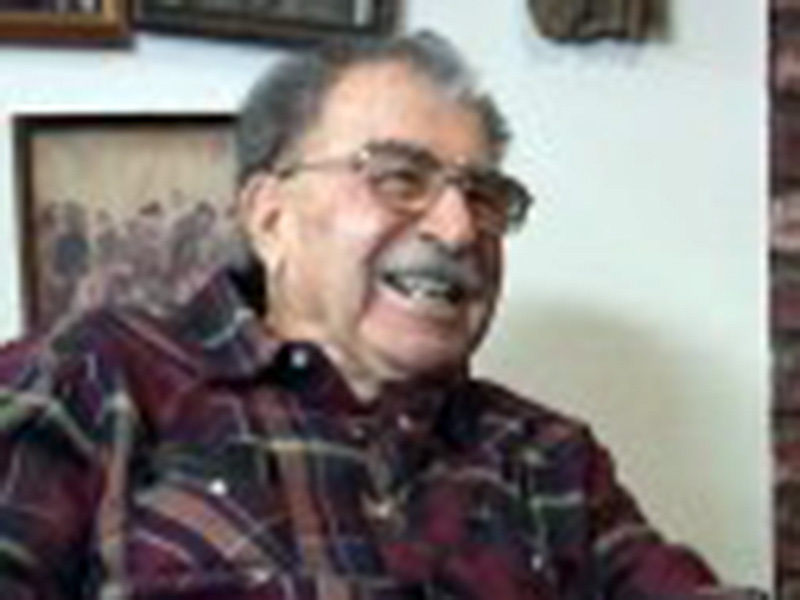 He also wrote the script with Richard Pryor, Andy Bergman, Norman Steinberg and Alan Uger. Producer Michael Hertzberg (foreground) assists in setting up a desert shot. Cinematographer Joe Biroc (behind camera) filmed in Technicolor and Panavision. LW3239: 9600 dpi jpeg from original photograph purchased 2018 by Leon Worden.